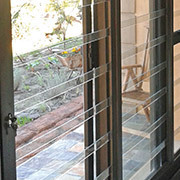 We give you peace of mind with clear intruder resistance for your home or business. Manufactured from robust, high quality aluminium and transparent Polycarbonate, which doesn't obstruct your view or interfere with natural indoor lighting. Traditionally when we think of burglar bars we think of ugly steel bars. 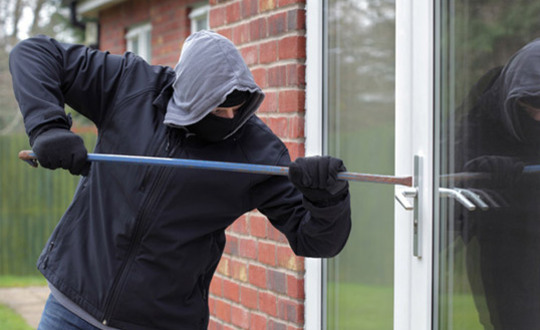 NoC® offers you a clear solution so your property can retain its beautiful aesthetics while still protecting your property from unwanted intruders. In October 2008, Mervyn van Eyssen and Marion Raupert founded GSS PE. 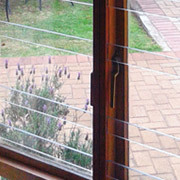 The personal experience of feeling imprisoned in their own home with windows and sliding doors barricaded with metal bars and trellis doors inspired Mervyn to design and develop the NoC® security system. 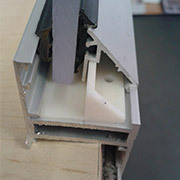 This strong, durable and aesthetically pleasing system is to offer an alternative to traditional security products. Several GSS outlets have been established throughout South Africa and Namibia. Please contact us to find an accredited installer near you.